I have always had a dream of making a big beautiful quilt for myself and then that dream extended to making them for my kids but it just hasn't happened. I have admired Kathryn's work for quite some time so am very happy to have her on board. 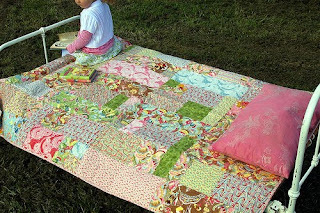 Maggie and Sparrow is a blend of old with new: vintage fabrics and modern designs. 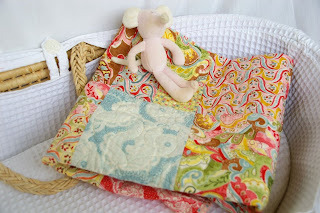 Specialising in Patchwork Quilts and accessories for children's décor and play. One of a Kind designs, each quilt is finished with delicately hand stitched edging and intricate patterning. Creating memories one quilt at a time. Kathryn also has a lovely blog that you can take a peek at.